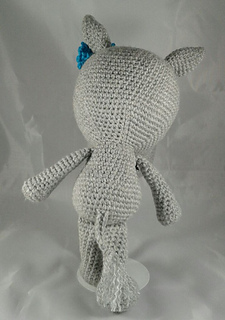 12- 14" tall depending on yarn and gauge. 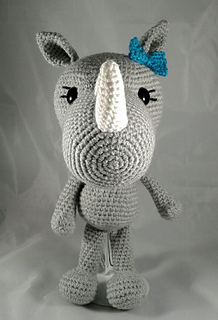 Rhinos are great spirit animals for those who have a strong physical presence. They are a walking contradiction because they are bold and powerful in looks but are often passive and non-violent in personality, but if need be they can charge like no other if provoked. 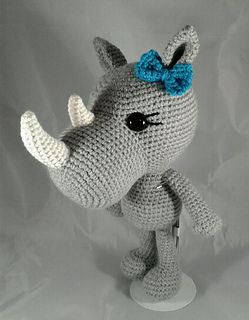 Make your own spirit Rhino to cuddle.